Kingsbury Watch Co. is now taking pre-orders on their latest creation - The Dark Water 300. 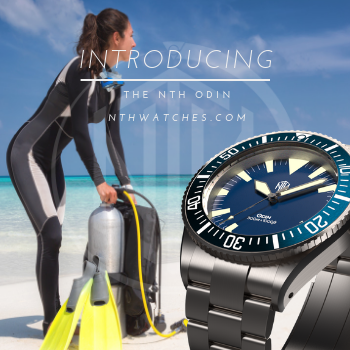 This uniquely shaped dive watch is powered by an automatic Seiko NH36 movement, has a stainless steel case, sapphire crystal, and a water resistance level of 300M. In addition to the great looks and the top end materials, the Dark Water 300 is an incredible value, starting at only $199 during the pre-order period. 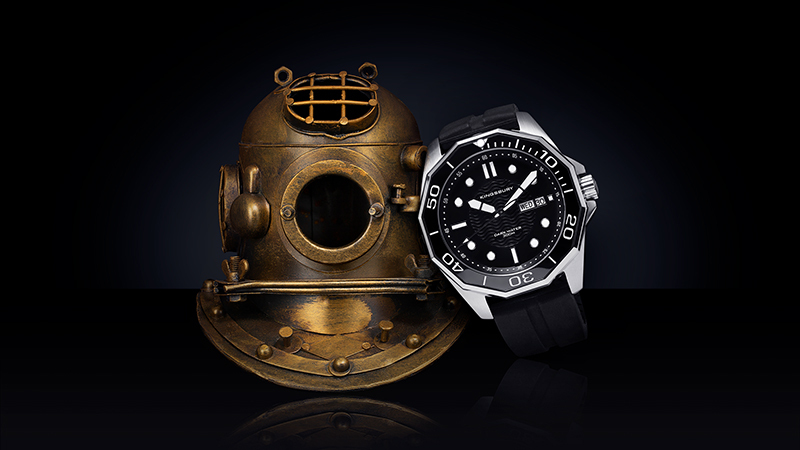 To ensure the Dark Water keeps both a luxurious and durable finish, the case was forged using 316L stainless steel. The 43.5mm case has a brushed satin finish and a total height of 13mm. The bezel of this diver is anything but typical. The standard round design was abandoned in place of a gorgeous 12 sided polygon that makes gripping and turning the rotating bezel a breeze. The unidirectional rotating bezel comes with a ceramic insert which provides incredible resistance against scratches and scuffs. The outer edges of the bezel have been finished with a polished shine, which looks great against the brushed case. 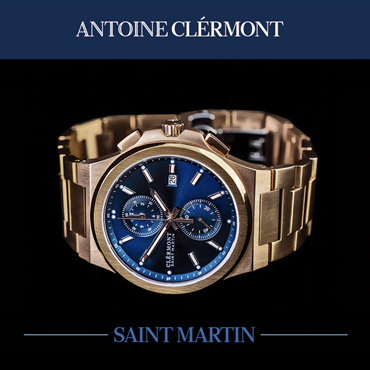 Protecting the face of the watch, you'll find a thick piece of ultra scratch-resistant Sapphire glass. The screw-down crown, which has been signed with the Kingsbury ‘K’, provides further protection against leaks. 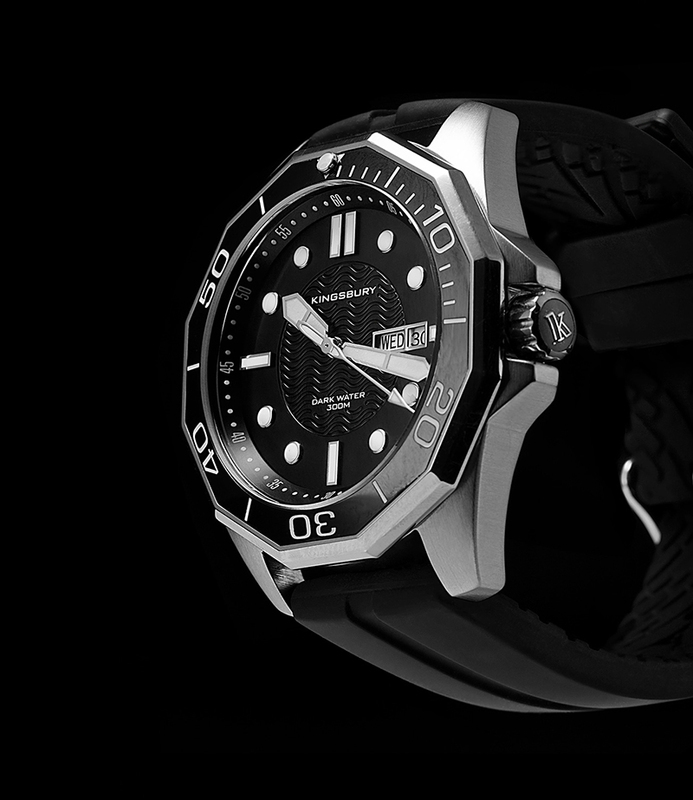 The combination of the sapphire glass, screw-down crown, and stainless steel case lets the Dark Water 300 boast an impressive water resistance of 30ATM / 300M / 1000FT, making this a true diver's watch. The distinctive dial of the Dark Water 300 really sets it apart from the abundance of homage divers that have saturated the market in recent years. 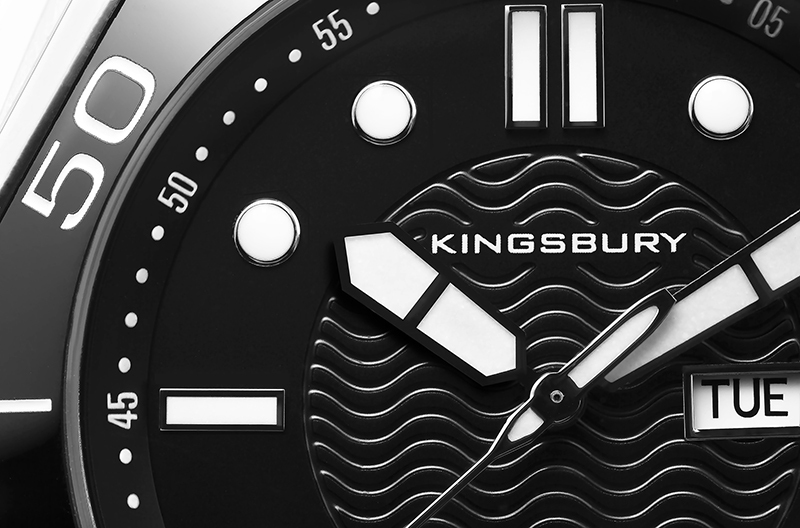 The first thing you'll notice is the beautiful wave pattern that's been etched out in the center of the dial. 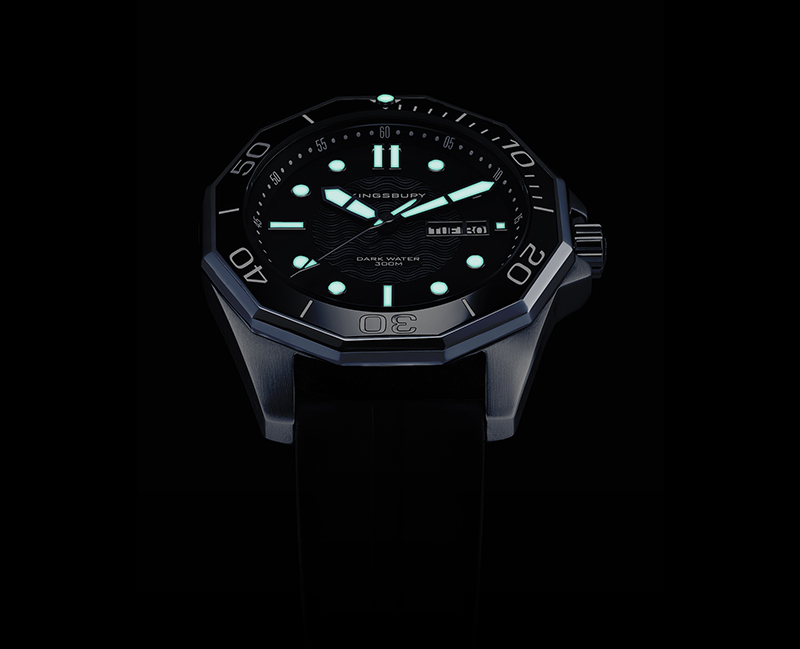 The hour markers, like on any good dive watch, are bold and sport luminous material that glows in low light conditions. The 12 o'clock position gets a double baton marking to help you easily identify the time when working or playing in the dark. 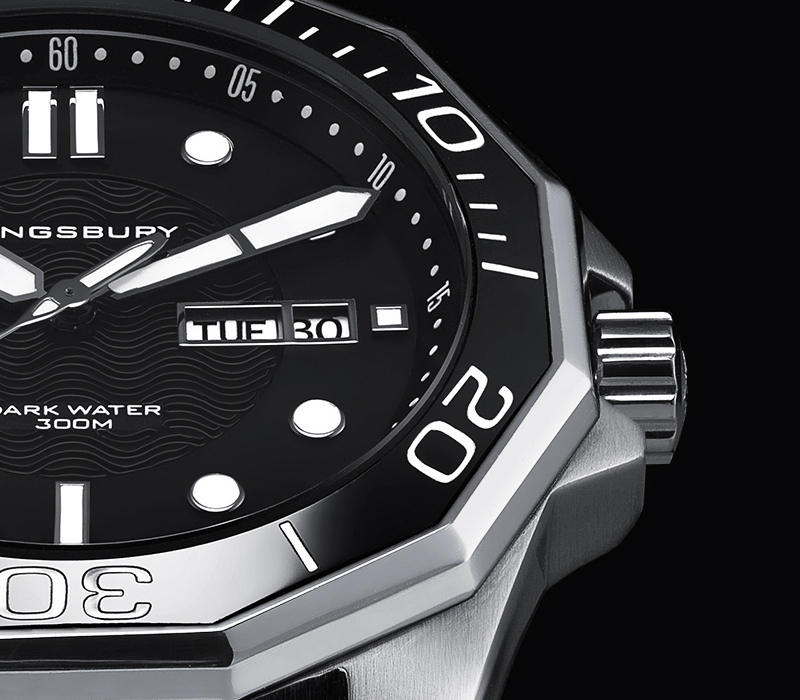 On the outer rim of the dial, you'll find printed numerical markings that make reading the time even easier. For the minute and hour hands, Kingsbury has picked a pair that is bold, thick and taper into a point, while the second hand resembles an archer's arrow. At the 3 o'clock position is the calendar window, with a metallic border, that shows both the day as well as the date. 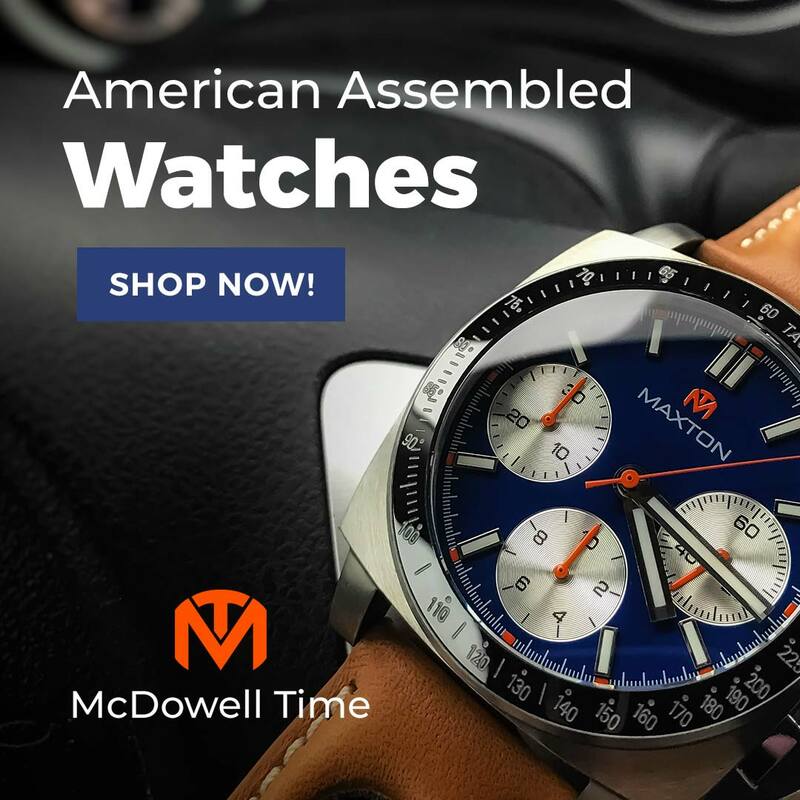 With all the design features, you'll feel a strong sensation of quality and precision each time you look down to check the time. 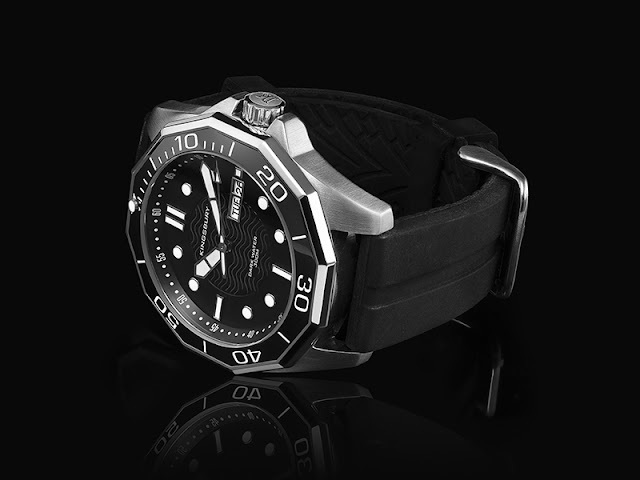 The rubber strap is custom designed for the Dark Water 300 and is made for both durability and comfort. 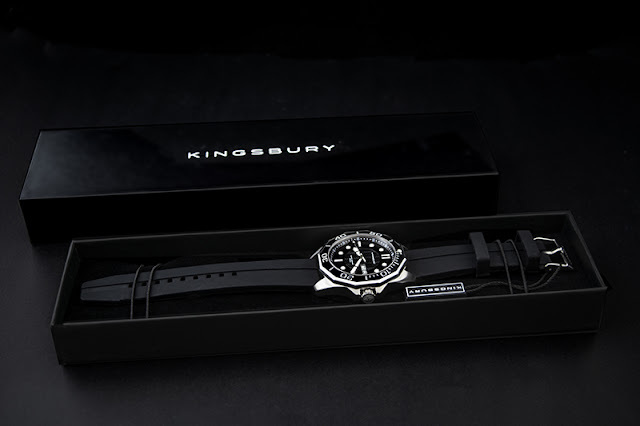 It has been constructed from high-quality silicone and features the 'Kingsbury' brand tattooed on the stainless steel buckle. The width of the strap is 22mm and tapers down to 20mm, which adds a sleek look no matter what the environment. Each watch will be delivered in a premium, foam lined, slide out watch box that has elastic bands to secure the watch into place. 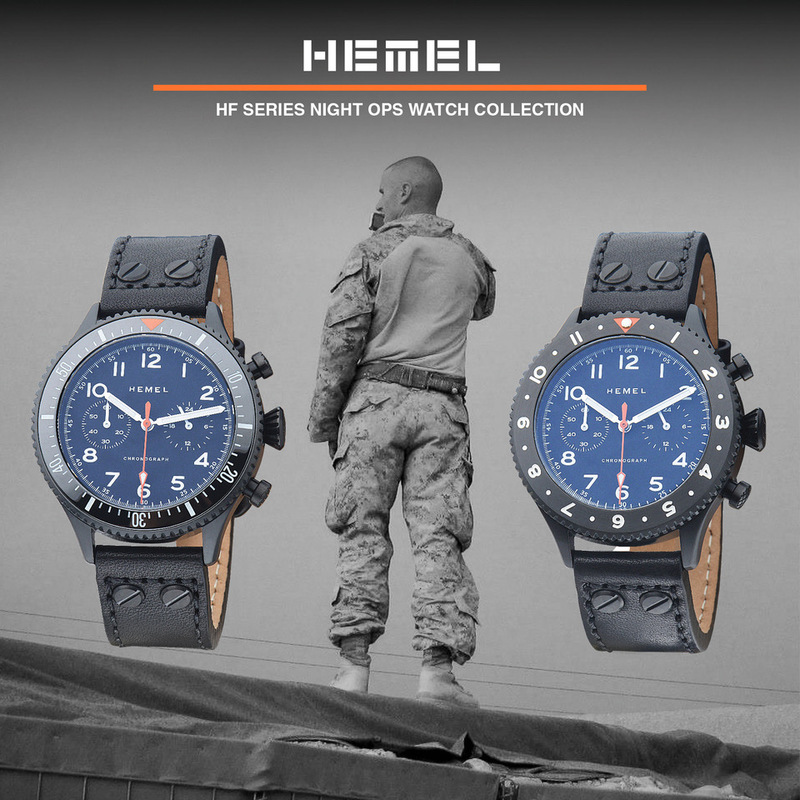 Also included is the user manual for the NH36 movement, a Kingsbury retail watch tag, a certificate of authenticity and a warranty information card. 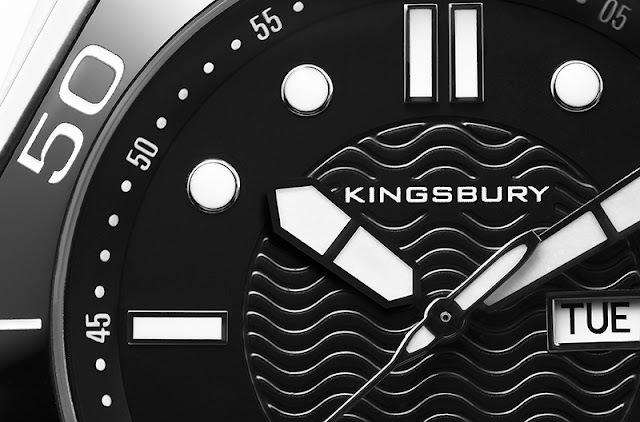 The Kingsbury Dark Water 300 automatic dive watch serves as a great option for anyone in the market for a dive watch, or a versatile automatic timepiece that is affordable and easy to wear. The brand’s Kickstarter campaign is now live, and pricing starts at just $199 USD.